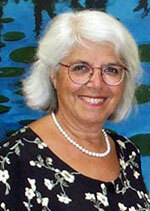 Ellen Feingold of Boston, Massachusetts is President of Jewish Community Housing for the Elderly. JCHE is a non-profit developer and manager of over 1,000 units of housing for low-income elderly, and Ms. Feingold has been associated with JCHE since 1981. Ms. Feingold is a former Director of the Departmental Office of Civil Rights, U.S. Department of Transportation, Washington, D.C.; former Faculty, with the Bunting Institute and the Kennedy Institute of Politics at Harvard University, and University of Massachusetts at Boston, College of Public and Community Service, Boston, Massachusetts. She is former Vice-President and Principal, Justin Gray Associates, architects, planners and community development consultants in Cambridge, Massachusetts; and a former Intergovernmental Relations and Legislative Specialist, Office of the City Manager, Cambridge, Massachusetts. Over the years, Ms. Feingold has received numerous government and community service appointments, including appointments by Presidents Johnson, Nixon and Ford to the Massachusetts Advisory Committee to the U.S. Commission on Civil Rights, and appointments by Attorneys General McCormack, Brooke, Richardson and Quinn to the Attorney General's Advisory Committee on Civil Rights and Civil Liberties. Ms. Feingold has been a member of the board of Directors of the American Civil Liberties Union for thirty years. Ms. Feingold was also appointed by the mayors of Boston and Newton, Massachusetts to the Committee on Boston's Housing Crisis, and the Newton Housing Partnership. She was also previously appointed to the American Bar Association Commission on Enforcement of Bar Discipline and Commission on NonLawyer Practice. Ms. Feingold served on the Executive Committee for 17 years and as a Director for 20 years with the National Low Income Housing Coalition; as Vice Chairperson and as Public Policy Chairperson for 16 years with the Association of Jewish Aging Services; and as Legislative Chairperson for 14 years with the New England Elderly Housing Association. Ms. Feingold currently serves on the Social and Economic Justice Committee, and the Elderly Services Committee with the Jewish Community Relations Council; and on the Committee on Service to the Elderly with the Combined Jewish Philanthropies. Ellen Feingold, the earliest known recipient (1979), was asked to sketch in some of the past. Describing herself as a product of two traditions, “Jewish atheism” and democratic socialism, Ellen reminisced about being recruited into the civil rights movement by Julie Bernstein after WWII, and how this evolved into lifelong work on housing. Ellen Feingold and Justin Gray were listed as friends of the event. The Commission’s chief sponsors were Congressmen Barney Frank and Rick Lazio. This page was last modified on 23 May 2014, at 10:37.